Every couple of years I go back to the Philippines and last march 2016 was about that time again. And I brought my boyfriend Maarten with me. 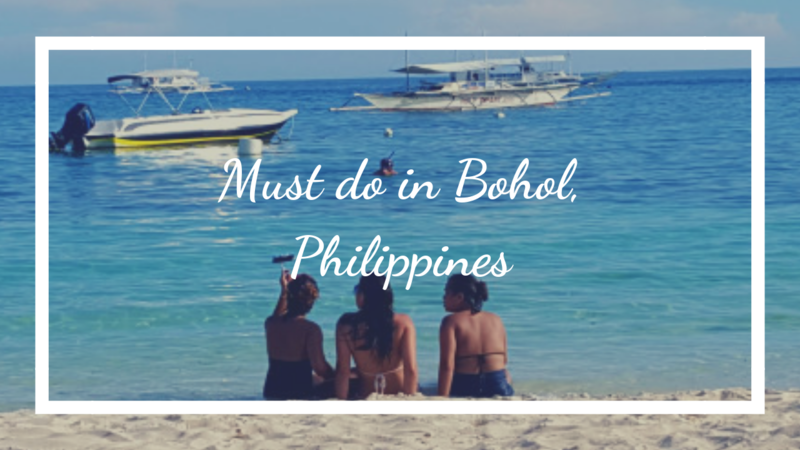 As the Philippines are known for its many Islands I wanted to start about an Island called Bohol. Bohol island is the 10th largest Island in the Philippines and it’s known for many things such as, The chocolate Hills and the Tarsier primates. Panglao is connected to Bohol with 2 bridges and we stayed at this part of the Island. Our hotel was 5 min from the popular beach, Alona beach. Over the years Bohol has become more famous for tourists, especially the beach. This place has become more crowded due to the opening of more restaurants and bars. Panglao has become more expensive due to the upcoming tourists but is the perfect spot as a base for exploring the rest of Bohol. ‘Bars’ are open until the late AM, perfect to enjoy for having drinks, it’s almost always happy hour in Philippines so enjoy and relax. Bohol has a lot to offer, from scuba diving, to island hopping and beautiful country tours. 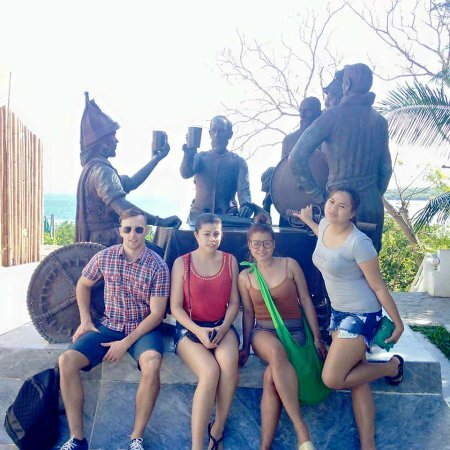 We did a countryside tour which covers a lot of Bohol in 1 day. The tour covers the following. 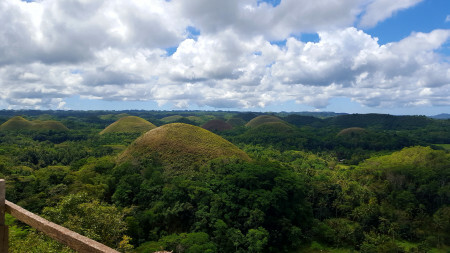 Bohol’s most known tourist attraction is ‘Chocolate hills’. This natural phenomena is special during a season change, when it becomes the dry season the hills turn brown, just like chocolate ;-). Going to view the top is quit steep but really doable and the view is amazing! If you have time you can do some outdoor activities like a ‘dead ride’ or even an atv ride (also known as quad rides) through the hills. This is what I was most excited about! A tarsier is a primate and not a monkey, you can find them in Southern Asian islands like: Indonesia, Philippines and Malaysia. They are shy nocturnal animals that lead a hidden life and during the day they sleep in dark places close to the ground. You can recognize them by looking at their eyes, each eyeball is approximately 16mm. A Tarsier kinda look like a small alien but really adorable, they fit in the palm of your hand. So where we are now is a small sanctuary especially for these little guys. They are close to extinction, so when you visit them they expect you to be quiet and to not touch them. Please respect that, they are so small that the least bit of excitement could cause a mini heart attack. 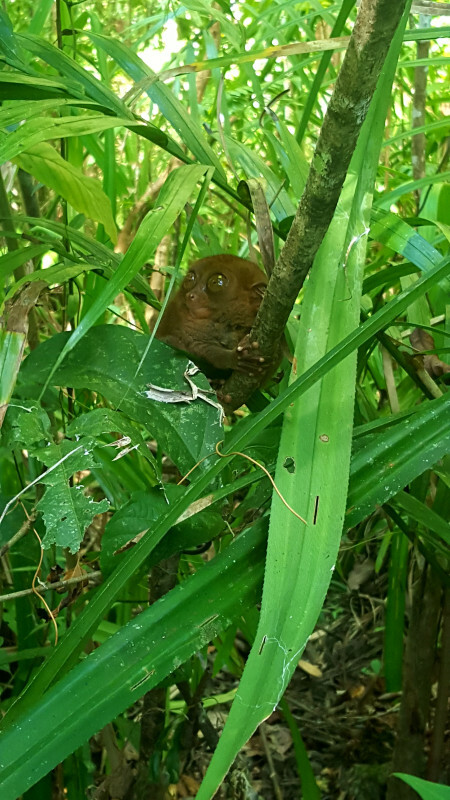 If you visit the Tarsier sanctuary you actually help them with their cause. Right before lunch they stop at a hanging bridge, well actually there are two, one for each way. What’s so special about the bridge is that it’s really old (so they claim) and it’s made by bamboo. So for me, this was not really useful to see a bamboo bridge and on top of that you had to pay to walk on it. 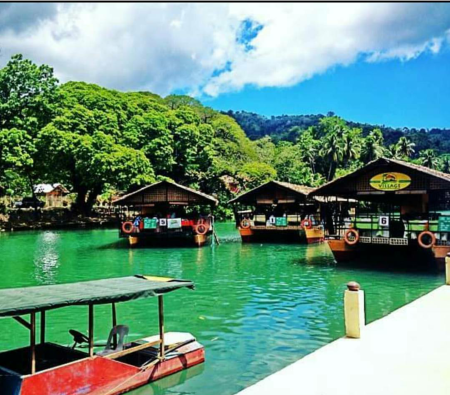 We had Lunch on a floating Restaurant at the Loboc River en we enjoyed it a lot. Well yes, a lot actually but locals like my nieces had a lot of fun too. You pay about 1000php/pp (16euro) and you can eat all the food that is available (all in buffet) incl water and ice tea. If you want something else to drink you just pay for that. There was plenty to go around, like crab, chicken and fish, even dessert. And for a thing like this the food wasn’t that bad at all! So besides all that food there was a guy who plays live music and a long the way there were 2 ‘stops’ where they show you some local and typical dances. This is a fun and relaxing way to spend lunch time. Why should you visit a Python sanctum? Not too long ago there lived a Python named Prony, she was the biggest python ever known which was held in captivity, Prony was about 300kg. She became famous, not for her size but during feeding time. They say that they used to feed her cats and dogs but after a government intervention it changed and became against the law. Sadly Prony died on August 2013. But than came Prony the 2nd. 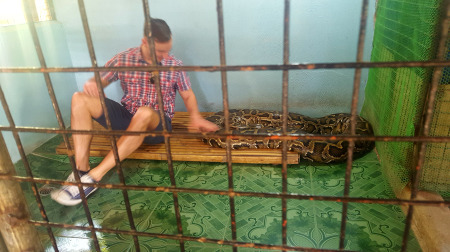 She is a bit smaller but still a big girl, they keep several snakes here but I think the main attraction was Prony the first. They kept her skin and stuffed it for us to see. No snakes were harmed during our visit and they kept a good eye if a tourist became to touchy. Just before our last stop we stopped at a butterfly garden, at first we weren’t too enthusiastic about that because we aren’t so much into butterflies. To round our tour up we ended with a little bit of Filipino history. The Sandugo was a blood compact, performed in Bohol between the Spanish explorer Miguel Lopez de Legazpi and Datu Sikatuna the chieftain of Bohol, on march 16 1565, to seal their friendship as part of the tribal tradition. Behind the statue you’ll have a beautiful view of Panglao Island connecting to Bohol. All that in 1 day and we didn’t feel like we rushed it and that’s what I like. One other thing you can do is to go on a day trip to Cebu to go whale watching. And guess what we did? 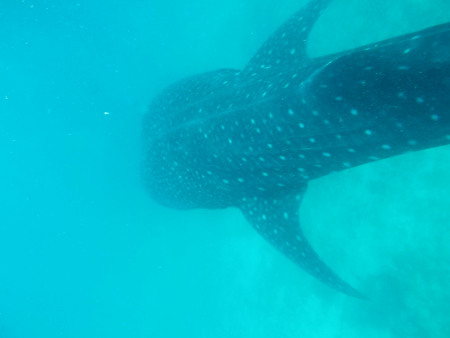 Yes we went Shark whale watching in Cebu. Click here to read about it..
We stayed here for 5 nights, sadly too short for us because we got sick on the last day due to an allergic reaction so we were forced to stay 1 day at the hotel by the pool where there was a lot of shadow. But besides that, this island has so much to offer. We mixed pleasure and beach time, day by day. The water is so clear that you can easily go snorkeling a couple of meters from the beach and just embrace the island life. So for us it was the perfect balance between rest and activities. Made me not want to leave this place anymore and really live in the moment for a while. Be aware that March and April are a peak season in the Philippines, that means that some tourist trips are a bit pricey. But do enjoy them, there are nice ways to see a lot of the Island and if you are lucky with the driver, he will stop or tell you some other places you should go that are not that crowed.